75. 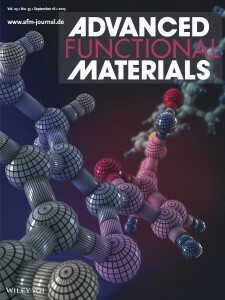 Jain, Weathers, Kim, Meyer, Walker, Li, Verduzco, “Self assembled, sulfonated pentablock copolymer cation exchange coatings for membrane capacitive deionization,” Mol. Syst. Des. Eng. 2019, Advance Article. 74. Mah, Laws, Li, Mei, Brown, Levlev, Kumar, Verduzco, Stein, “Entropic and Enthalpic Effects in Thin Film Blends of Homopolymers and Bottlebrush Polymers,” Macromolecules 2019, ASAP Article. 72.Barnes, Verduzco. “ Direct Shape Programming of Liquid Crystal Elastomers” Soft Matter in press. 2019.. Featured by Rice News, the Royal Society of Chemistry’s Chemistry World, and C&E News. 69.Zuo, Kim, Jain, Wang, Verduzco, and Li. “Novel Composite Electrodes for Selective Removal of Sulfate by the Capacitive Deionization Process” Environ. Sci. & Tech., DOI: 10.1021/acs.est.8b01868, 2018. 68.Mah, Mei, Basu, Laws, Ruchhoeft, Verduzco, Stein. 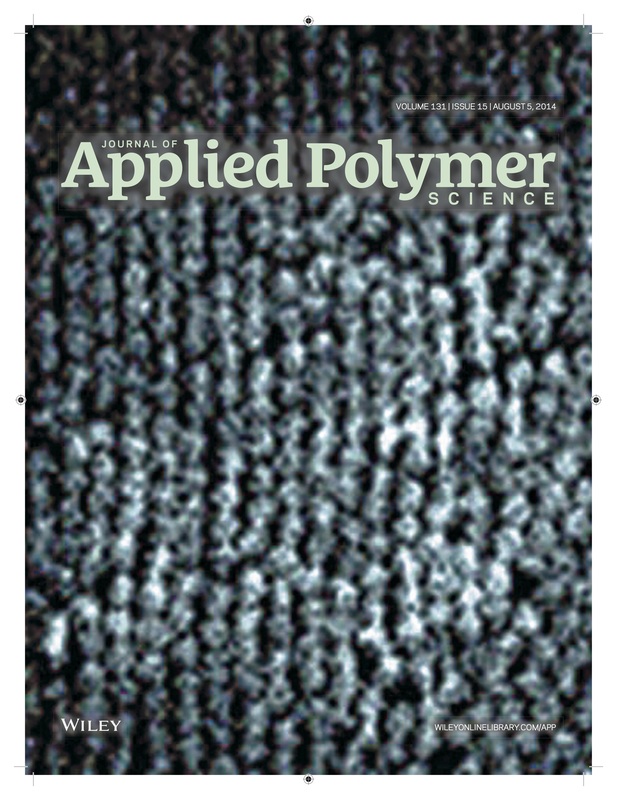 “Swelling Responses of Surface-Attached Bottlebrush Polymer Networks” Soft Matter, DOI: 10.1039/C8SM01127C, 2018. 66.Cheng, Liu, Tong, Epsztein, Sun, Verduzco, Ma, and Elimelech. “Selective removal of divalent cations by polyelectrolyte multilayer nanofiltration membrane: Role of polyelectrolyte charge, ion size, and ionic strength” J. Membrane Sci., 559, 98 – 106., 2018. 65.Qi, Song, Wang, Li, Hirasaki, and Verduzco. “Polymer-coated Nanoparticles for Reversible Emulsification and Recovery of Heavy Oil” Langmuir, 2018, 10.1021/acs.langmuir.8b00655. 64. Jain, Kim, Owoseni, Weathers, Cana, Zuo, Walker, Li, and Verduzco. “Aqueous-Processed, High-Capacity Electrodes for Membrane Capacitive Deionization” Environ. Sci. Technol., 2018, 52, 5859–5867. 63.Tsai, Asadpour, Blancon, Stoumpos, Durand, Strzalka, Chen, Verduzco, Ajayan, Tretiak, Even, Alam, Kanatzidis, Nie, and Mohite. “Light-induced lattice expansion leads to high efficiency perovskite solar cells” Science, 2018, 360, 67-70. 62.Wang, Sim, Chen, Kim, Rao, Li, Chen, Song, Verduzco, Yu. “Soft Ultrathin Electronics Innervated Adaptive Fully Soft Robots,” Advanced Materials,2018, in press. 10.1002/adma.201706695. 61.White and Verduzco. “Liquid crystal elastomers: emerging trends and applications,” Soft Matter,2017 13, 4320. 10.1039/C7SM90086D. 56. Ponniah, Chen, Adetiba, Verduzco, and Jacot. “Mechanoactive Materials in Cardiac Science,” J. Mater. Chem. B., 2016 4, 7350 – 7362. 10.1039/C6TB00069J. 55. An, Li, Chalker, Strake, Verduzco, and Lutkenhaus. “Conducting Block Copolymer Additives Enhance the Performance of Carbon-Free Hybrid Vanadium Pentoxide Cathodes,” ACS Appl. Mater. Interf, 2016 8, 28585 – 28591. DOI: 10.1021/acsami.6b08028. 47. Smith, Lin, Yager, Mohite, Nie, Darling, Verduzco. “Molecular Origin of Photovoltaic Performance in All-Conjugated Block Copolymers,” Macromolecules.DOI: 10.1021/acs.macromol.5b01383. 45. Kipp, Mok. Darling, Strzalka, Ganesan, and Verduzco. “Rational Design of Thermally Stable, Bicontinuous Donor/Acceptor Morphologies with Conjugated Block Copolymer Additives,” ACS Macro Lett. 2015, 4, 867-871. 44. Mok, Lin, Yager, Mohite, Ni, Lee, Gomez, Darling, Gosztola, Schaller, Verduzco. “Linking group influences charge separation and recombination in all-conjugated block copolymer photovoltaics,” Adv. Funct. Mater 2015, 25, 5578-5585. 43. Verduzco. “Shape-Shifting Liquid Crystals,” Science 2015, 347, 949-950. Full Text. PDF Reprint. 42. Verduzco, Li, Pesek, and Stein. “Structure, Function, Self-Assembly, and Applications of Bottlebrush Copolymers,” Chem. Soc. Rev. 2015 44, 2405-2420. 41. Agrawal, Adetiba, Kim, Chen, Jacot, and Verduzco. “Stimuli-Responsive Liquid Crystal Elastomers for Dynamic Cell Culture,” J. Mater. Res. 2015 30, 453-462. 40. Mitra, Li, Pesek, Lokitz, Uhrig, Ankner, Verduzco, Stein. 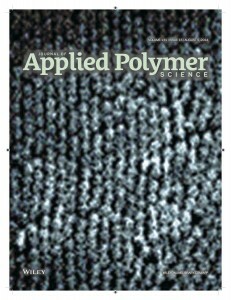 “Thin film phase behavior of bottlebrush/linear polymer blends,” Macromolecules 2014 47, 5269-5276. 39. Smith, Stewart, Yager, Strzalka, and Verduzco. “Control of all-conjugated block copolymer crystallization via thermal and solvent annealing,” J. Polym. Sci. B: Polym. Phys. 2014 52, 900-906. 36. Lin, Verduzco. 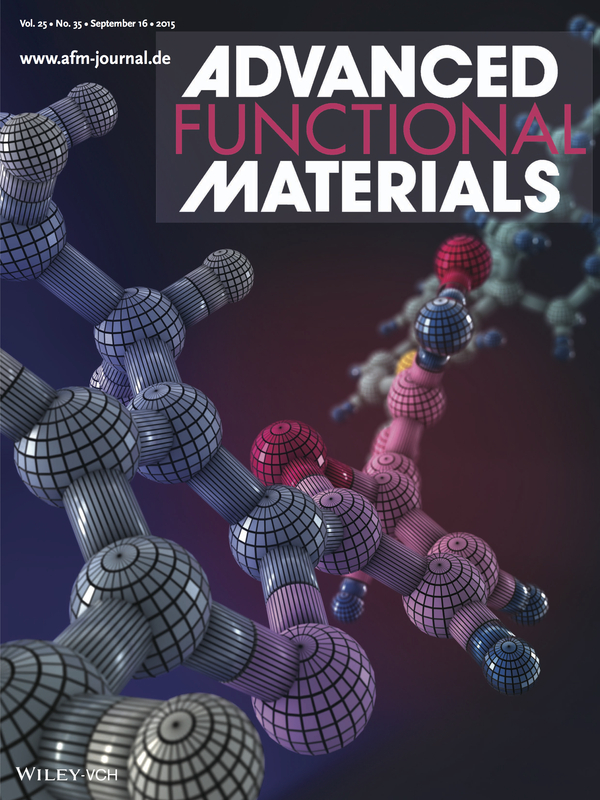 “Synthesis and Process-Dependent Film Structure of All-Conjugated Copolymers for Organic Photovoltaics,” in Polymer Composites for Energy Harvesting, Conversion, and Storage, 2014, Chapter 3, 49-70. 35. Shamsijazeyi, Verduzco, and Hirasaki, “Reducing Adsorption of Anionic Surfactant for Enhanced Oil Recovery: Part II. Applied Aspects,” in press Colloid. Surf. A . 30. 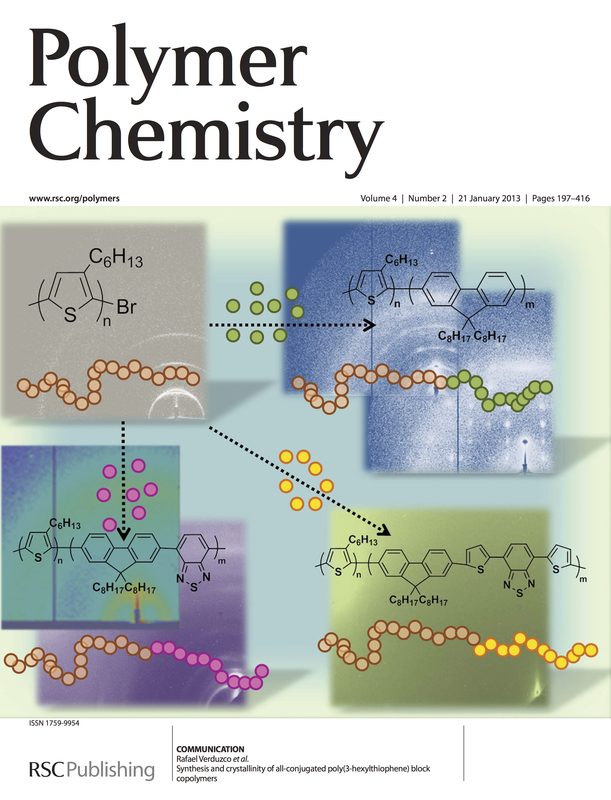 Smith, Yager, Pickel, Kissinger and Verduzco, “Conjugated Block Copolymers via Functionalized Initiators and Click Chemistry,” Journal of Polymer Science A: Polymer Chemistry 2013 52, 154-163. 18. Hong, Verduzco, Gleeson, Sprunt, Jákli. “Nanostructures of liquid crystal phases in mixtures of bent-core and rod-shaped molecules,“ Phys. Rev. E, 2011, 83, 3157. 16. Verduzco, Botiz, Pickel, Kilbey, Hong, Dimasi, Darling. 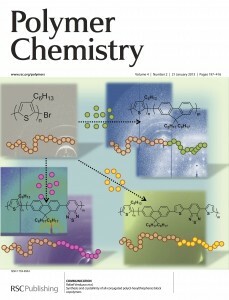 “Polythiophene-block-Polyfluorene and Polythiophene-block-Poly(fluorene-co-benzothiadiazole): insights into the self-assembly of all-conjugated block copolymers” Macromolecules, 2011, 44, 530-539. 13. Harden, Chambers, Verduzco, Luchette, Gleeson, Sprunt, Jakli. “Giant flexoelectricity in bent-core nematic liquid crystal elastomers,” Appl. Phys. Lett 96, 102907, 2010. 10. Chambers, Verduzco, Sprunt, Gleeson, Jakli. “Flexoelectricity of a calamitic liquid crystal elastomer swollen with a bent-core liquid crystal,” J Mater Chem 19, 7909-7913, 2009. 9. Chambers, Verduzco, Sprunt, Gleeson, Jakli. “Calamitic Liquid-Crystalline Elastomers Swollen in Bent-Core Liquid-Crystal Solvents,” Advanced Materials 21 1-5, 2009. 8. Scruggs, Verduzco, Uhrig, Khan, Park, Lal, Kornfield. “Self-Assembly of Coil/Liquid-Crystalline Diblock Copolymers in a Liquid Crystal Solvent,” Macromolecules 42 (1) 299-307, 2009. 5. Xia, Verduzco, Grubbs, Konrfield. “Well-Defined Liquid Crystal Gels from Telechelic Polymers,” Journal of the American Chemical Society 130 (5) 1735-1740, 2008. 4. Verduzco, Scruggs, Sprunt, Palffy-Muhoray, Kornfield. “Director dynamics in liquid-crystal physical gels,” Soft Matter 3 (8) 993-1002, 2007. 3. Kempe, Verduzco, Scruggs, Kornfield. “Rheological study of structural transitions in triblock copolymers in a liquid crystal solvent,” Soft Matter 2 (5) 422-431, 2006. 2. Verduzco, Meng, Kornfield, Meyer. “Buckling Instability in Liquid Crystalline Physical Gels,” Physical Review Letters 96 (14) 147802, 2006. 1. Kempe, Scruggs, Verduzco, Lal, Kornfield. “Self-assembled liquid-crystalline gels designed from the bottom up,” Nature Materials 3 (3) 177-182, 2004. R Verduzco’s thesis Self-assembled Liquid Crystal Polymer Gels via Caltech Library Services.